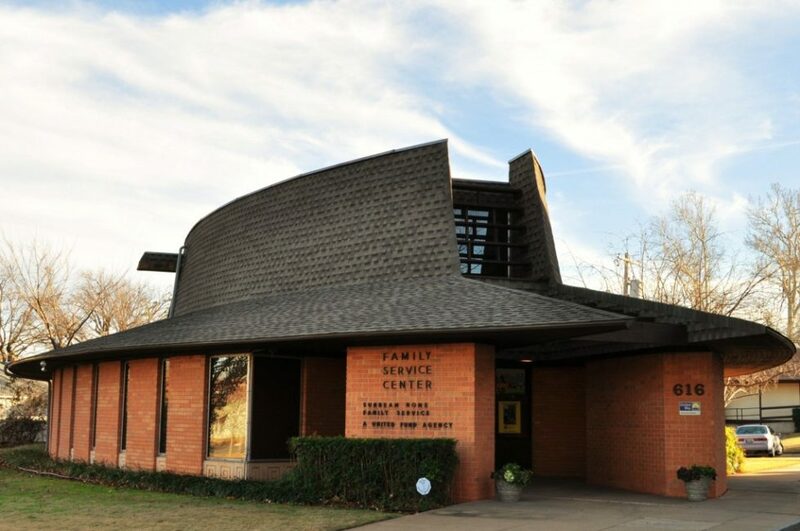 For years, the Sunbeam Home’s Family Service Center was located in several structures on SW 2nd in downtown OKC, but construction on the then-new (now demolished) Crosstown Expressway in the early 60’s meant that these buildings had to come down to make room for the highway. 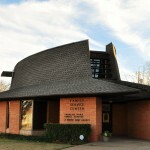 After a three-year fundraising drive, the Sunbeam Home raised the needed $98,000 to construct the football-shaped Family Services building, and it opened to great fanfare in 1965. The two-story (including basement) building housed a reception area, counseling offices, a basement conference room, a den area, and several storage rooms until Sunbeam vacated the space in 2013 and moved to a new building on Classen. The building went up for sale and was bought by a lover of mid-century architecture in the spring of 2015. The owner now parcels out the space in this well-preserved piece of Modernism to individuals and small businesses. Read more about Bill Howard and his work here.